which work in all stages of the filmmaking process, from idea through distribution, for both documentary and narrative films. We continue to defend a particular conception of quality filmmaking - stimulating, inspiring and audacious. ​Studio GOYO creates dynamic motion pictures for corporate, commercial, musician, fashion and entertainment. Collaboration with indie artists is always welcome. 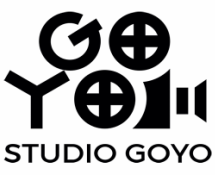 ​Studio GOYO believes every life is worth filming, and that's why we offer private services for the individual. Let's film it for your own personal growth or travel and reflection in life. ​Copyright © STUDIO GOYO. All rights reserved.